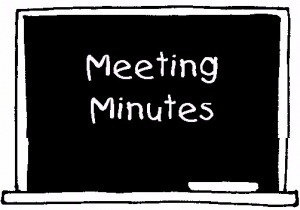 Click on the link below to view a draft copy of the minutes for the community meeting. 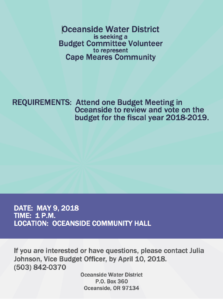 As of January 1, 2019 CMCA Treasurer Anita Johanson reported $3500 had been raised thus far. Bev Stein added on January 2 that the silent auction held at the community center on New Year’s Eve has resulted in raising $1753. Thanks to all community residents who have made contributions. If you have not contributed and still are interested in doing so there is still time to send your donation to the CMCA treasurer. 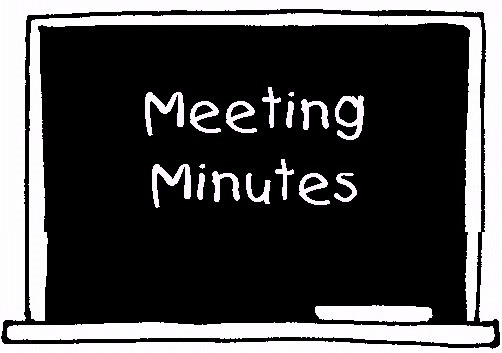 The Emergency Volunteer Corps of Newhalem is sponsoring an American Red Cross CPR/1st Aid class on Monday, September 10, 9 AM to 3 PM. 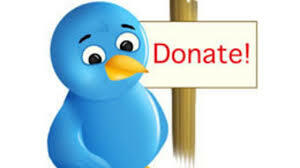 Click on the link below for more information. The Cape Meares Water Treatment Plant has been repaired and is now processing water. Thank you for your patience during this emergency. Please conserve water until further notice. 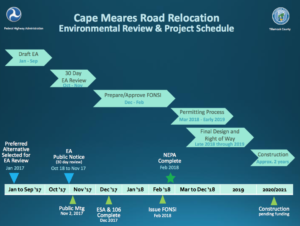 Replacement parts are being ordered for the filtration plant, until they are installed we are unable to filter water for the community of Cape Meares. The 200,000 gallon reservoir is nearly full at 19′ today (5/24/2018). A second notice will be sent when plant is operational. Thank you for your patience during this emergency. The 2017 Water Quality Report may be viewed by accessing the link found below. 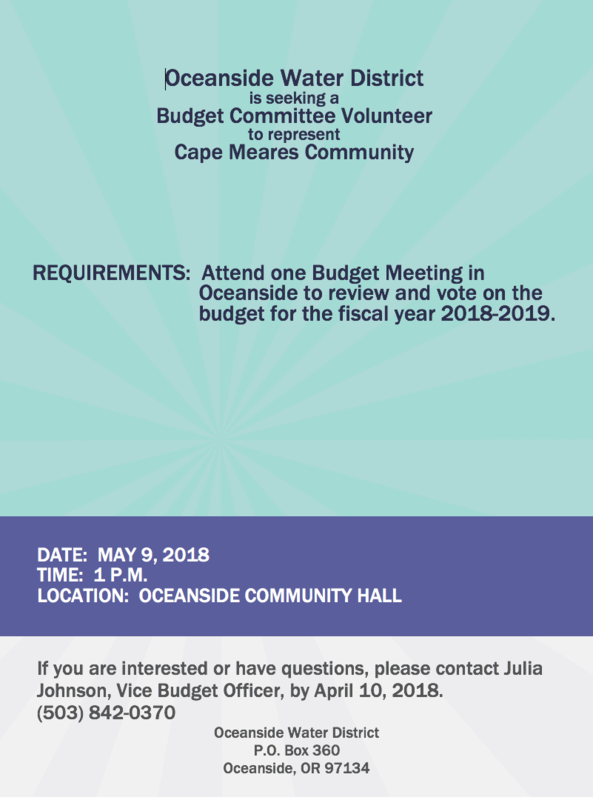 Oceanside Water District is seeking a Budget Committee Volunteer. See attachment for specific request. Cape Meares Residents are receiving this e-mail as part of ongoing project updates for the Cape Meares Road Relocation Project environmental review process. 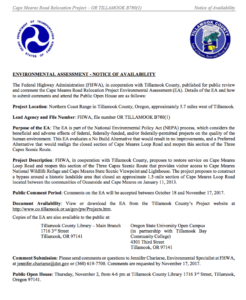 Please see the attached Notice of Availability (NOA) that was published today, starting the 30-day public comment period for review of the Environmental Assessment. We have also updated the project’s overall schedule, see attached for the current schedule. The NOA also advertises a Public Open House that you are invited to attend. 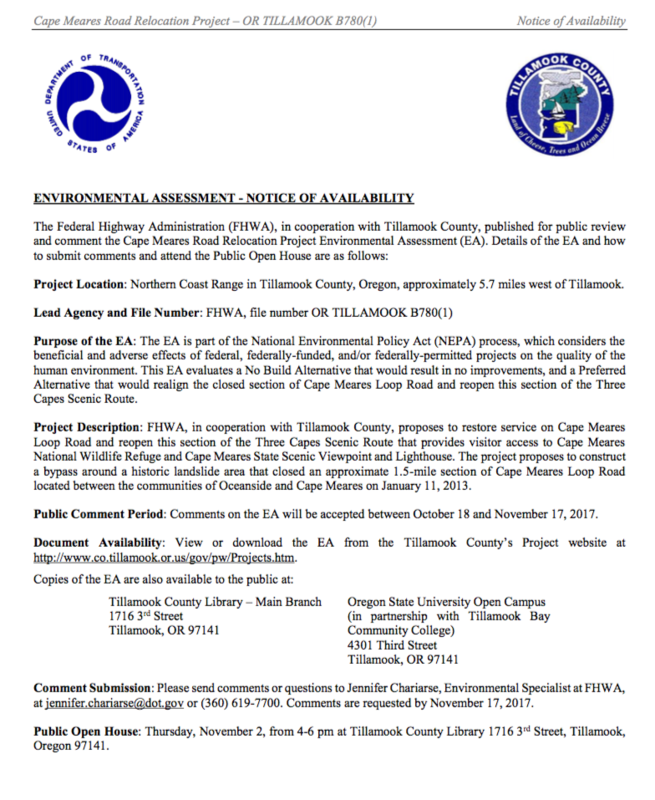 The Open House will occur between 4 and 6 PM at the Tillamook County Library. Additional details are provided in the NOA. Please feel free to contact me if you have any questions, comments or concerns.